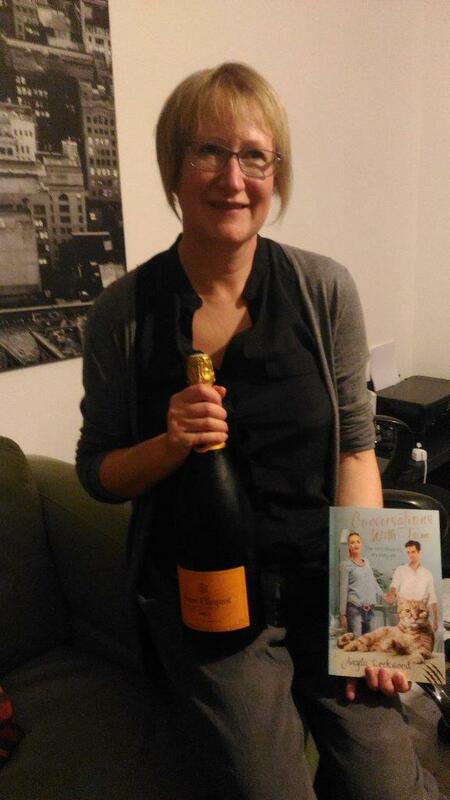 I’m a Dutch-born writer, but have lived most of my adult life first in Scotland and now in France. I’m very lucky to live in the south of France, but unlike a lot of ex-pats I’m not of retirement age. Work is seasonal and in the winter of 2013 I found myself unemployed and very frustrated by an unusually wet January. To stop me from climbing the walls, my husband suggested I write him a horror story. The tale got rather out of hand and grew into a two-book series - Language in the Blood. It’s a comedy about a young Scotsman, Cameron Blair, who goes off to fight in the First World War. 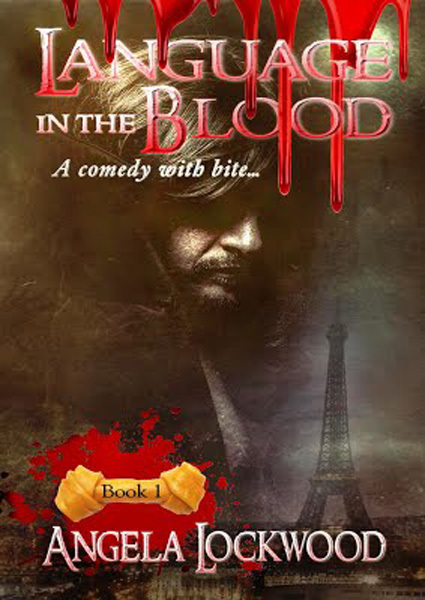 Lying wounded on the battlefield, he is discovered by a vampire with inevitable consequences. The story follows Cameron as he comes to terms with his new ‘life’, from his first days as a hapless vampire in war-torn France to the glamorous modern day setting of the Côte d’Azur. Along the way, he develops a distinctive taste for the finer things in life: jewels, yachts, small dogs and champagne-infused human. Tom, tell me a little about yourself. Where are you from? Is there anything you would like your fans to know about you that maybe wasn’t revealed in your story? I’m not entirely sure where I’m from but my earliest memories are from being at a refuge in Hastings with my brothers and sisters. My mother was thrown out of her home when she was pregnant with me. Mum was only eighteen months old when she found herself homeless and alone with five children. Maybe I should mention that I’m a cat and that I have since been adopted by my great friend and human, Jeff. One thing that is not revealed in the book is that I like listening to talk radio. I’m not keen on music, or noise in general, but I find humans talking in soft voices very soothing. To be honest, I don’t remember much about my kittenhood. Kittens are rather silly with their oversized heads and undersized tails, but Jeff keeps reminding me that I once was one. His eyes mostly glaze over when he remembers fondly how cute I was. I think I’m still adorable but humans go rather mushy when it comes to baby animals. Jeff tells me I grew up in a house with a garden and that I had a great time. What makes you Tom so special? 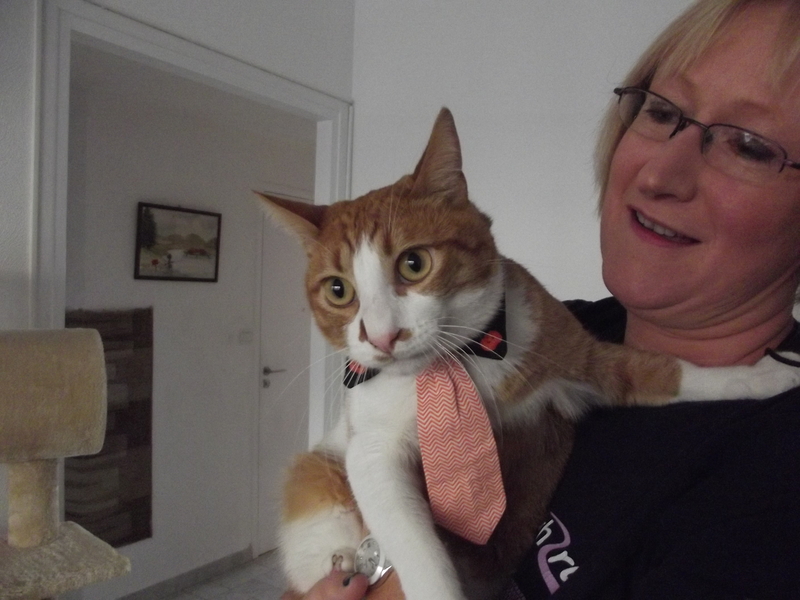 I’m a ginger cat that just gave you an interview. What more do you want? Jeff always comes to me for advice. It’s sometimes a heavy burden as I’m a cat and Jeff really needs some sound human guidance. I never let on though, and try to give him my best insights. What are regrets? Can you eat them? Wow, that seems a large number. I don’t like change, so I hope I will still be living in the same house with my human, Jeff. Wouldn’t change a thing. Especially as I don’t remember much before six months ago. I hate going to places. It involves being put in my cat basket and the destination is mostly rubbish. Something ghastly like a visit to the vet for vaccinations! Jeff asked me this morning how this dead mouse got into his slippers. I told him that I had no explanation for that happening. I’m not sure he believed me. Jeff complimented me last night on leaving the cleanest empty tin of tuna behind. My pleasure, Jeff, my pleasure indeed! Jeff would say that I’d like to torment mice, baby rabbits and birds. I would say it is not tormenting but rather enhancing the dining experience. I’ve been told that we cats have nine lives, so I’ll take the risk and be attractive. I mostly go to my black and white friend, Felix, for advice. He is twelve years old and the wisest cat I know. I would ask him what number comes after four. He is teaching me how to count and I forgot again. I wouldn’t say it is weird, but I think very few cats have their own Facebook page. My human helped me set it up and unfortunately he has admin access, but I do try and post daily on Tomfoolery. It’s something I’m rather proud of. I would say neither, but as I hate water I’d have to go with the mountains. Language in the Blood - Until the outbreak of the First World War, young Cameron Blair would have liked nothing better than to stay in Edinburgh and marry his childhood sweetheart. As the call to arms goes out, Cameron and his pals sign up to fight for their country. They are soon delivered into the nightmare of war, and there Cameron more than meets his maker. 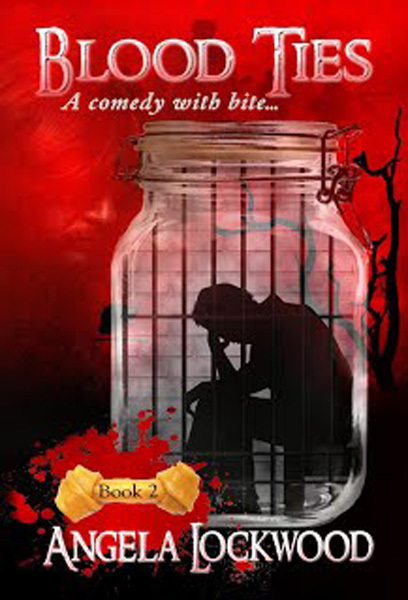 Blood Ties-Locked up, his needs denied, misunderstood and plagued by an unhealthy obsession with his friend’s daughter, the bored vampire edges close to insanity. Before long, Cameron starts plotting his escape. .
What started as a diversion is now a passion that takes up most of my spare time. My cat, Clicquot, is my main inspiration at the moment, but to be honest he is as much a hindrance as a muse. 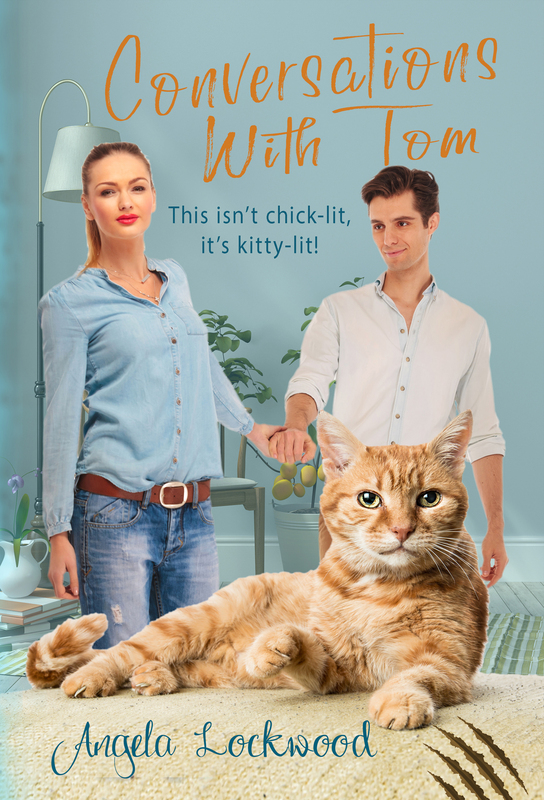 Despite his best efforts, I managed to publish my third book, a romantic novel for cat lovers called Conversations with Tom in February. Absolutely not! I only hope that my novel will make you smile and give you a few hours entertainment. Conversations with Tom was inspired by my own cat, Clicquot and started as a series of short stories based on his antics. Many characters in the book are based on actual people. Jeff the main character has a lot of my character faults, like being a bit of a dreamer and not overly ambitious in life. I lived for 20 years in Scotland and the wonderful (and colorful) people that I met during this time still inspire my writing. All my books have a bit of Scotland in them. The vampire in my first book is from Edinburgh and Jeff the main character in Conversations with Tom falls in love with a girl from the Scottish Borders and has to deal with her rather colorful family. I had so much support from a Facebook group of fellow independent writers, the IASD. I can’t begin to tell you how much I learned from fellow writers sharing their experiences, helping each other beta-read and even publishing two bundles of short stories together: Holes and You’re not Alone. Since my first book started as a hobby and I didn’t want to spend a lot of money on it, I decided to take the self-publishing route. I was lucky enough to have an editor as a friend and her help has been invaluable. Self-publishing however has now become a philosophy. To have control over all aspects of the publishing process is rewarding but difficult. I’ve met many interesting people (virtually all online!) while learning about cover design, formatting your book for e-readers and print, and doing your own marketing. The list of jobs skills I’ve added to my CV is impressive! I would love to, but for the moment the reality is that I have to get up as early as 3.45am to start work at Nice Airport. As a child I loved writing and making up stories. I am mildly dyslexic and teachers marking my writings in red very quickly quashed all my early enthusiasm. It was not until many years later with the help of a spell-checking computer, a supportive husband and a great editor friend that I picked up the courage to start writing again. Strangely enough, I’m much more comfortable in the English language than I ever was in my native Dutch. I’m quite a lazy researcher; I like to get on with writing the story and hate when historical fact gets in the way of a good plot. My editor had to pull me up on a few things where I had to completely rewrite a scene. I don’t think I’ll be writing historical fiction, even though it is one of my preferred genres to read. Make the book the best it can be. I do read a lot self-published books and it is disappointing to see a badly formatted book or even worse one full of mistakes. I learned the hard way that people do judge a book by its cover. The best decision I made was to have my covers professionally designed. I use Paradox book covers, but there are many designers out there who can do you a great cover for under a hundred dollars. Lived life to the fullest. It was one of the reasons I moved to France, to enjoy life and not wait until retirement to do it. I’ve recently taken up painting again. When I was training to be a jeweler we had to do presentation paintings of our jewelry. I’m still the most comfortable doing miniatures with the smallest brush I can find. As with the book, I’m inspired by my ginger cat, Clicquot, and he pops up in many paintings. Even though I live in France, I mostly watch American or British series to relax. I do enjoy comedies and political thrillers/satires such as the House of Cards.